Ryan Prepelica joined Slayton Search Partners in 2015 as a Senior Associate. Ryan is responsible for managing client relationships including assessment, placement, and development of senior leaders and their teams. He specializes in senior executive level assignments for Presidents, CEOs, CIOs, and other senior officer- level positions for large publicly traded corporations, middle-market companies, and top-tier private equity and venture capital-backed enterprises. Specializing in the financial services space, Ryan is frequently called upon to recruit senior leaders with expertise in the life, health and property-casualty insurance industry as well as integrated health care systems, hospitals and academic medical centers. Ryan is deeply committed to diverse and inclusive recruiting practices for every client he works with, as he believes these are drivers of strategic business growth and a healthy workforce. He is passionate about understanding and evaluating the underlying business needs of each of his clients and has earned a reputation for building strong, trusted advisor relationships with his candidates and clients. 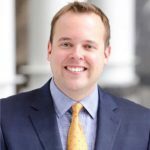 Prior to joining Slayton Search Partners, Ryan was a Director of Executive Search for a boutique retained executive search practice assisting Top 500 CPA firms with Partner-level leadership positions across the Finance, Accounting, Audit, and Tax functions. He started his executive search career at a large global search firm as Research Analyst for its Industrial and Board Practices. Hopelink – nonprofit organization working to end poverty in King County, WA.